Friends of Tibet (Sri Lanka) organised a discussion on Tibet in Colombo, well attended by supporters of the Tibet Issue from the locality. The discussion was as part of the 81st birthday celebrations of His Holiness the XIV Dalai Lama. Sister Shiromala, initiated as a Buddhist nun by His Holiness the XIV Dalai Lama presided over the function initiated by Ravindra Ranasinha of Friends of Tibet. The focal point of discussion was how effect of Chinese intrusion on Tibetan natural environment and how the Chinese forces are responsible for ruthless destruction of natural resources in Tibet. The group also discussed the larger issue of climate change which is a direct impact of the actions of the draconian atrocities towards natural resources in Tibet. There was also a comparative analysis of the Mahayana Buddhist Traditions followed in Sri Lanka and Tibet. Appreciating the rich Tibetan Culture, it was decided that the group would organise an important event on Tibet the next year. Friends of Tibet, Secretary (Tamil Nadu and Puducherry) Michael R Hubert organised a Poetry Session on Tibet in Chennai, Tamil Nadu as part of the 81st Birthday Celebrations of His Holiness the XIV Dalai Lama, World Tibet Day. The main highlight of the programme was poems written and recited in Tamil on the Tibet Issue. 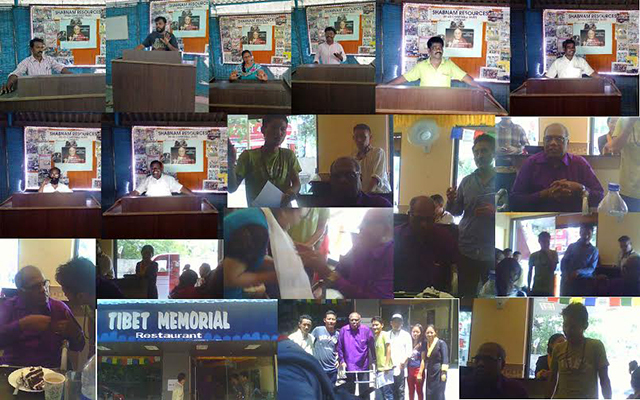 The programme was well attended and well appreciated, providing an opportunity for many to understand the Tibet Issue. Hubert was also invited to preside over a function organised by the local Tibetan Community staying in the outskirts of the city. 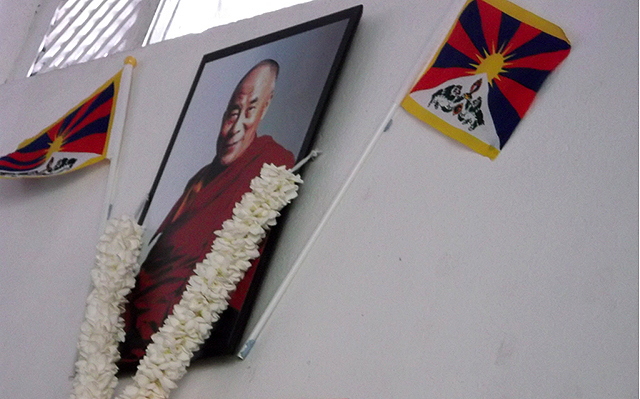 Hubert during his speech encouraged the Tibetans to never give up. Tibet Supporters in Kochi joined the 81st birthday of His Holiness the XIV Dalai Lama, celebrated worldwide as World Tibet Day. 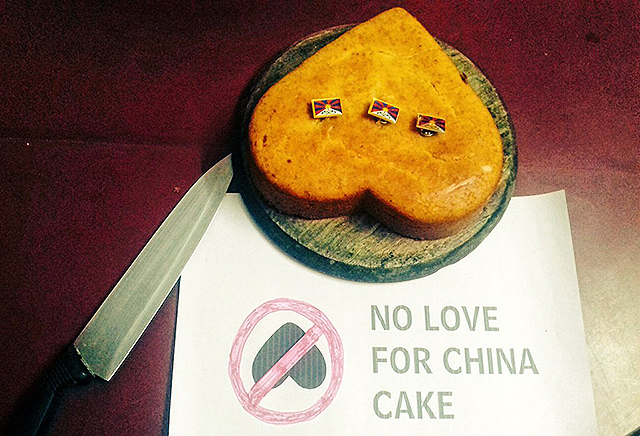 Friends of Tibet activists in Kochi city observed the day by cutting the 'No Love for China' cake and discussing Tibet. Renowned Cartoonist Yesudasan cut the cake and the cake was distributed to the supporters. At a time when the world shamelessly relishes Made in China products, this initiative by Friends of Tibet was notable. The 'No Love for China' Cake reminded the cruel atrocities and Human Rights Violations committed by the Chinese 'Liberation' Forces. World Tibet Day (WTD) was initiated in Chicago in 1997 at an informal meeting between Tendzin Choegyal, the Dalai Lama’s younger brother and Richard Rosenkranz, a Pulitzer Prize nominee in history and a former correspondent from the US Senate. Rosenkranz proposed the concept of WTD, saying it could become an annual worldwide event, designed to help the Tibetan people regain essential freedoms. He also suggested this event could be a way to showcase and celebrate the unique value of Tibetan culture and thought. Enthusiastic about the idea, Tendzin Choegyal suggested WTD should be held in July, linked to his brother's birthday, in order to increase potential support among Tibetans. Believing that the proposed event held great promise, they offered the idea to His Holiness, who gave them his blessing and his warm support. Founded in 1998, World Tibet Day has grown into one of the most important events on the Tibetan calendar.